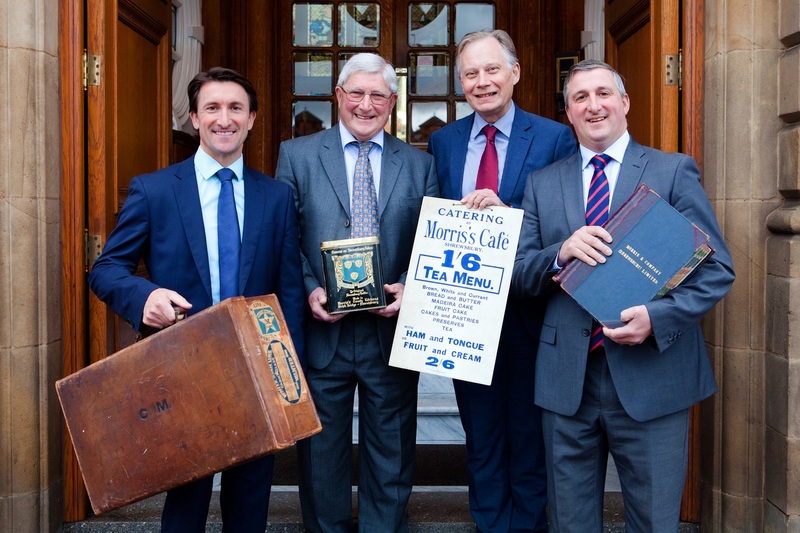 Fifth generation family business Morris & Company has delved into its archives to celebrate its 150th anniversary and found photographs, treasured memorabilia and keepsakes to go on show at Shrewsbury’s Museum and Art Gallery. The exhibition from 30 May to 24 June will show how Morris has been part of the fabric of Shrewsbury over the years and will celebrate the people who have been part of its story. The company is calling on past employees and their families to share their own photographs or memorabilia for the anniversary. To bring the story right up to date the company will create a huge artwork to celebrate the town. It is asking everyone with an affection for Shrewsbury to put themselves in the picture and send in a selfie for inclusion in a unique mosaic artwork. The Morris story started with a grocery shop in Frankwell and over the years has involved lubricants, Bakeries and confectionary, Cafés, fashion salons and supermarkets. Today Morris & Co employs 720 people across commercial and residential property, care homes and an international site machinery businesses. Aimed at all ages, there will be interactive exhibits to involve children and a chance for visitors to add their own memories of life at Morris & Co.
To submit selfies for the artwork, send to celebrations@morrisandco.com.